FUNDRAISING | Introducing Claim Your Turf! 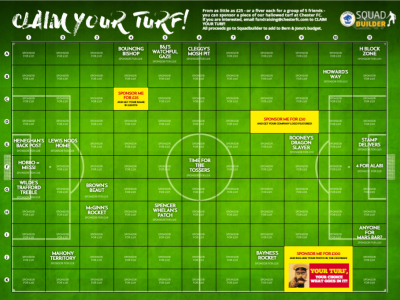 Chester FC have launched a new initiative – Claim Your Turf! FUNDRAISING | An evening with Kevin Ratcliffe and friends! 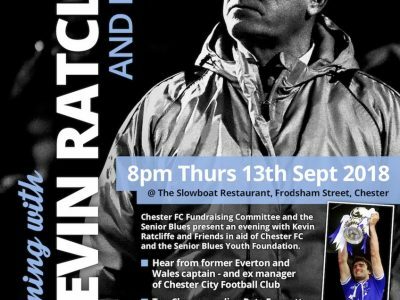 Chester FC Senior Blues are presenting an evening with Kevin Ratcliffe and friends on Thursday 13th September. RACE NIGHT | This Friday! 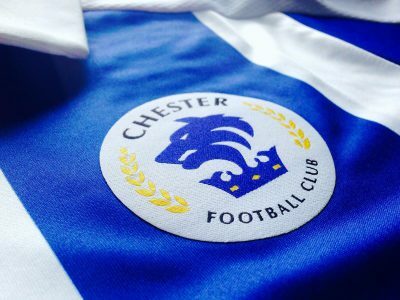 This Friday, The Chester FC Fundraising Workgroup are holding a Race Night in the Blues Bar. 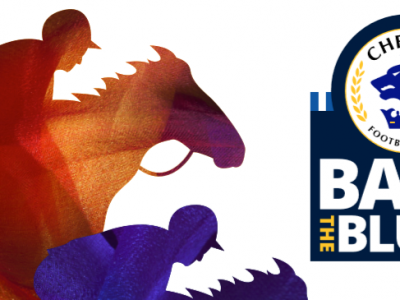 RACE NIGHT | Coming Friday 23rd Feb! 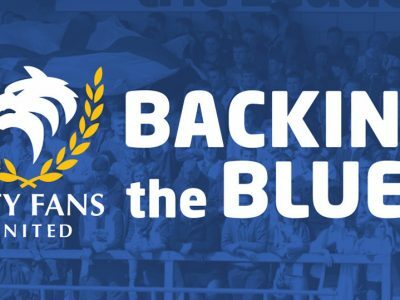 £17,066.17 raised so far to Back The Blues!